Wasp Removal and Wasp Control is a service provided by Xceptional Wildlife Removal. Insects known as wasps include sawflies, parasitic wasps, and stinging wasps. 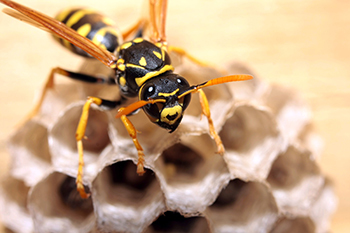 Stinging wasps include paper wasps, potter wasps, yellow jackets, and hornets. Most stinging wasps are predators or scavengers that inject venom to kill their prey or use the venom for defense. 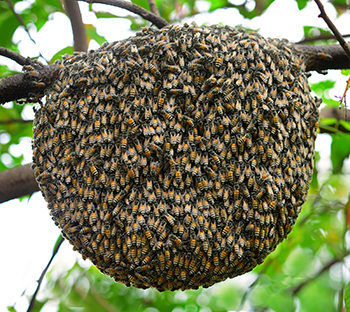 Many times, customers ask for bee removal when really they have a wasp problem. The main difference between wasps and bees is that wasps feed on other insects, primarily spiders, while bees feed on pollen and nectar. 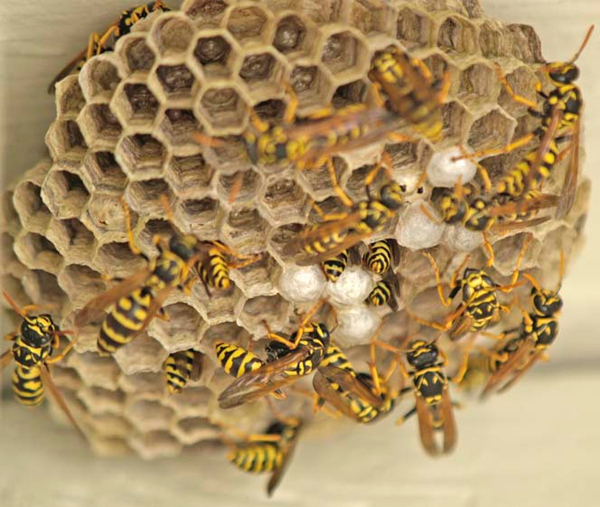 Wasp nests should be handled with extra care when dealing with wasp removal. Their nests will be in the shape of a tear-drop ball that is usually attached to a bush, tree, or side of a building and can sometimes be found in attics, crawlspaces, barns, and bee hives that have been abandoned. Hornets are extremely aggressive when they are disturbed and their nests can contain thousands of wasps that will sting if they feel threatened. Special protection may be needed when removing a wasp nest so it is recommended that you contact Xceptional Wildlife Removal before attempting wasp removal on your own. 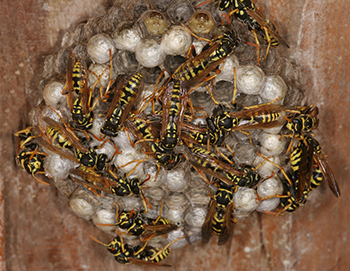 Once the nest is removed, the area is treated to deter any wasps from returning. There may be damage that needs to be repaired after the nest is removed if it has been there for a long period of time. Call Xceptional Wildlife Removal today to have one of our Expert Wildlife Biologist to Provide Complete Wasp Removal Services!